Apache Indian is a Mercury Prize-nominated musician and reggae DJ, bringing together the sounds of ragga and bhangra to create a hybrid style that he calls bhangramuffin. This genre-bending artist has collaborated with Sean Paul, General Levy, Boy George, Shaggy and Maxi Priest over a career that’s seen the release of eleven studio albums. Born into a Punjabi family, Steven Kapur grew up in Birmingham, surrounded by diverse musical influences that he would later synthesise into his own unique and eclectic style. After making a name for himself as a dancehall deejay, he recorded his first singles in the early ‘90s, leading to a major-label deal with Island Records in 1992. His debut album, No Reservations, made it into the U.K. Top 40, paving the way for later records – 1995’s Make Way for the Indian and 1997’s Real People – that would cement his reputation as an innovative musician with a global appeal. Kapur has had chart success with several singles, most notably the 1993 song ‘Boom Shack-A-Lak’. Taken from his EP Nuff Vibes, the track reached No 5 in the UK Singles Chart, and has since been featured in over 70 TV commercials globally, alongside various Hollywood films, including Dumb and Dumber and Scooby-Doo 2: Monsters Unleashed. 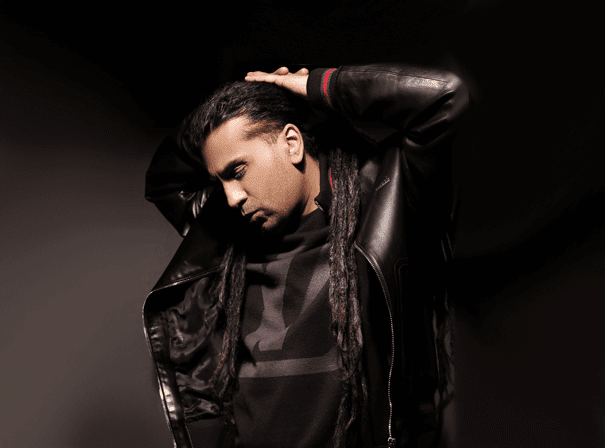 In 2011, Apache Indian was recognised at the UK Asian Music Awards with a Lifetime Achievement Award.